If you haven’t yet checked out Wind Map by Hint.fm, now might be the most dramatic view you might see in a while. Using hourly data from the National Digital Forecast Database, it shows the organic flow of wind over terrestrial US. It uses HTML5 Canvas so you do need a modern browser to see it. Here’s a live GIF snapshot of it from Monday night (Oct 29, 2012) of the Hurricane Sandy. Click through the image for a higher quality version. And if you like it enough, you can even buy a high resolution print. Are people really moving into Seattle? 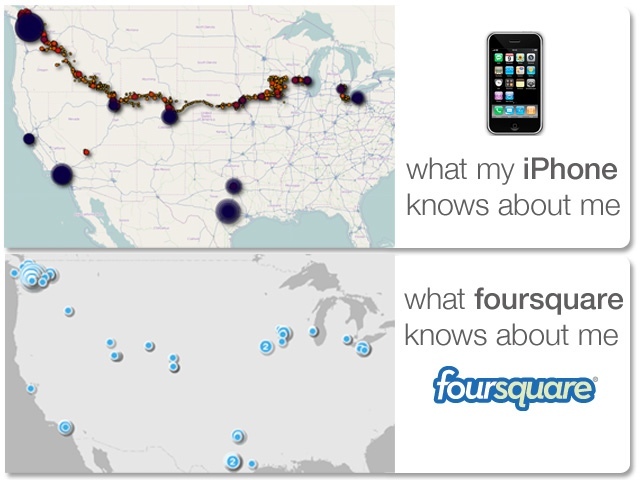 Forbes recently published a visualization based on IRS data which shows where Americans moved between 2008 and 2009. You click on the city name that you are interested in and it shows you a dense sets of lines showing migration paths. Red lines show that there was a net number of people moving out whereas black lines show a net number of people moving in. It’s interesting to look at, but really really hard to read, and almost useless due to that. But that’s a different story. I found it interesting to compare this data with the temperature heatmap of that day. We have had an awfully cold spring but this heatmap really drives in the point. That week, the Pacific Northwest was the coldest region in the country! Makes one wonder, if people really are moving to Seattle in hordes, do they really know what they are getting into? 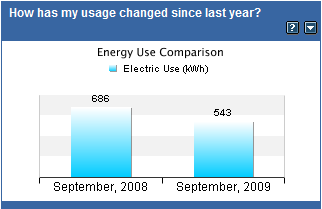 Do you monitor your energy consumption? 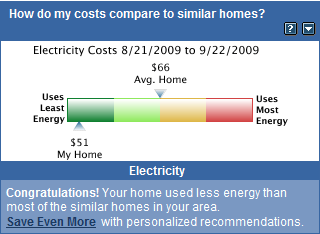 Puget Sound Energy uses Energy Guide to provide very interesting analytical tools to see your energy consumption. It’s similar to tools by Google and Microsoft, both of which do not work with my PSE account. Maybe it is due to some other changes we have made e.g. I took down my 24×7 FON hotspot last month. I could be wrong, but I remember from my previous calculations that a 24×7 router adds up to around the same energry consumption as a stove-top used twice a day. Time to put the rusty Kill-a-Watt to some use.